I am so far behind with my posts that we are planning Bob’s 5th birthday party before I have finished telling you about her 4th. This year we are going to have an Under The Sea theme. Bob wanted it to be a Little Mermaid party but I thought that Under The Sea would give us more to work with. 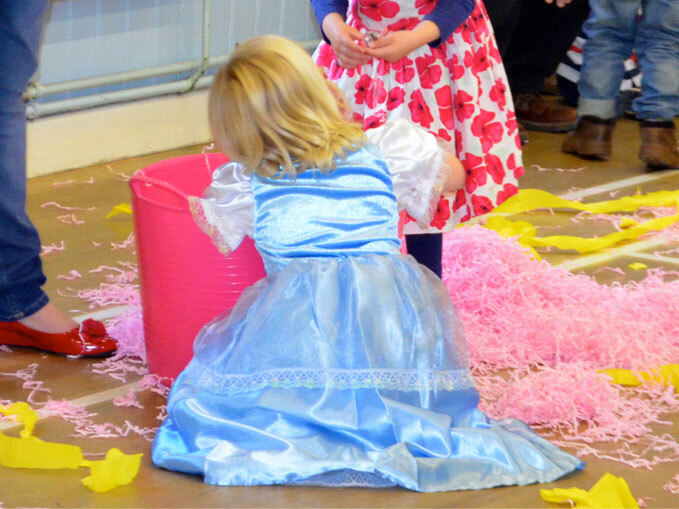 Last year we had a Disney Princess party and we had lots of games to keep the children entertained. 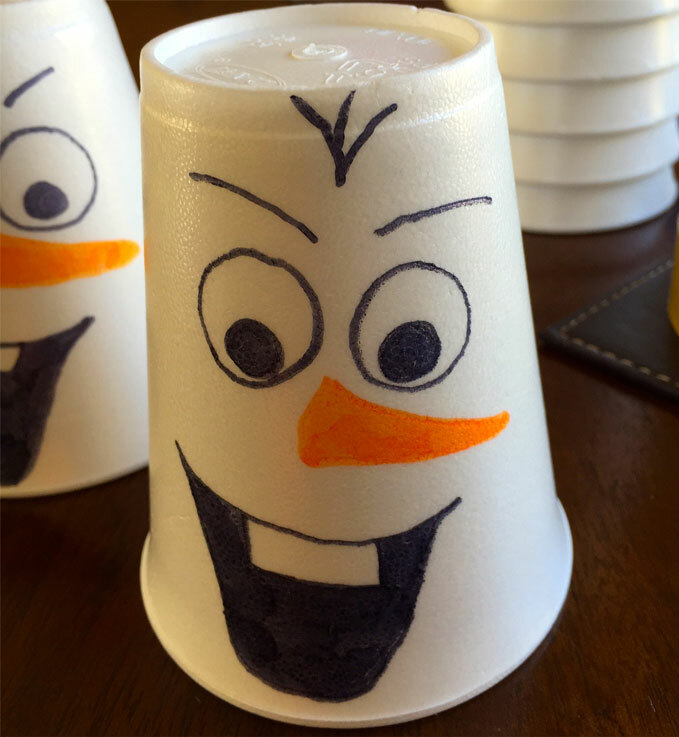 I drew Olaf’s face onto polystyrene cups using permanent markers. 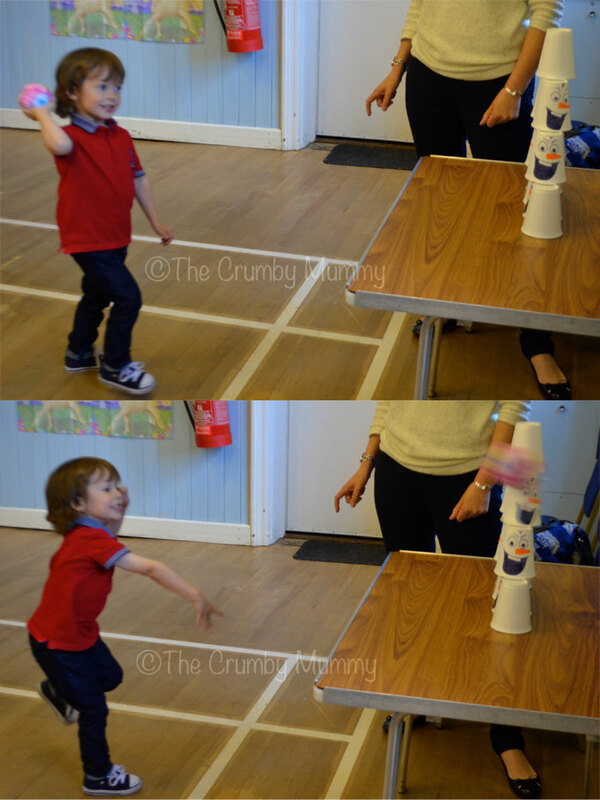 I then stood them in a pyramid for the children to knock down. We bought several bags of marshmallows for this activity. Unfortunately we could only find them in pink and white but Bob was happy to eat the pink ones for me. I also used pink ones to make some marshmallow pops which I will tell you about later. 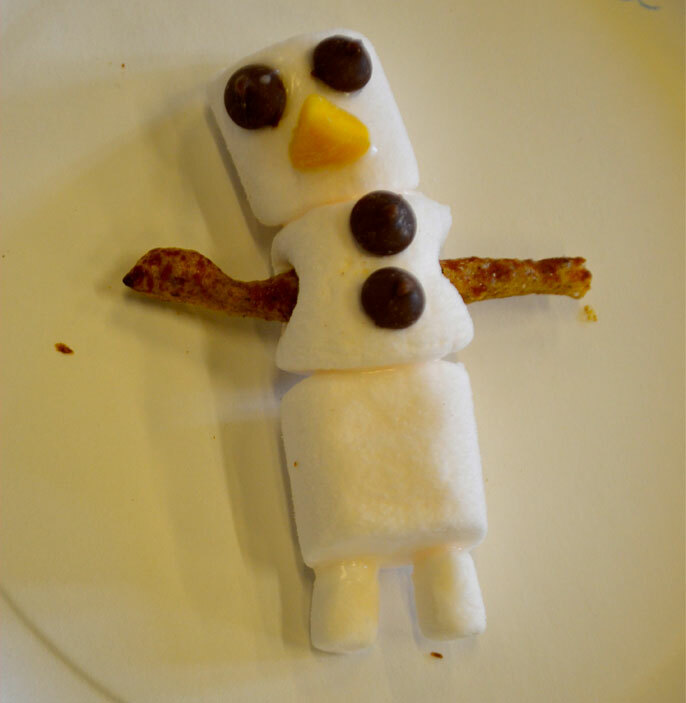 Using white marshmallows (large and small), chocolate drops, twiglets, a piece of dried mango and some runny icing the children could make their own edible snowman. 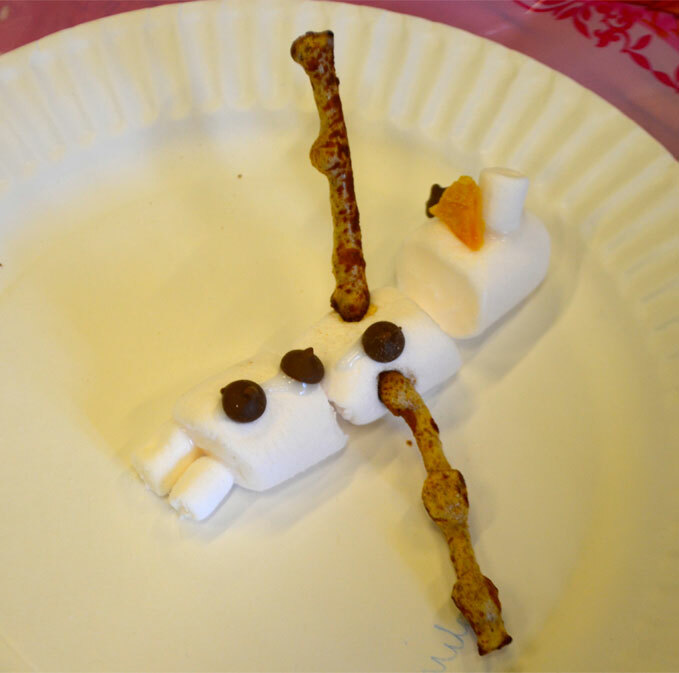 I wasn’t sure how nice the twiglets would taste with the marshmallows but they looked fab! In this game the children used yellow streamers to tangle their partner. 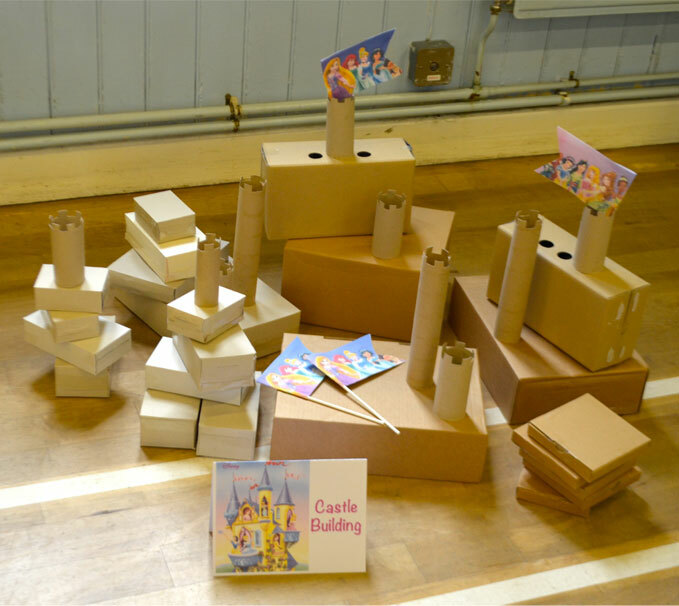 I saved lots of boxes and cardboard tubes for the children to build some castles. I turned the boxes inside out and cut the ends of the tubes to look like turrets. I also made some flags using pictures of Disney princesses and cake pop sticks. 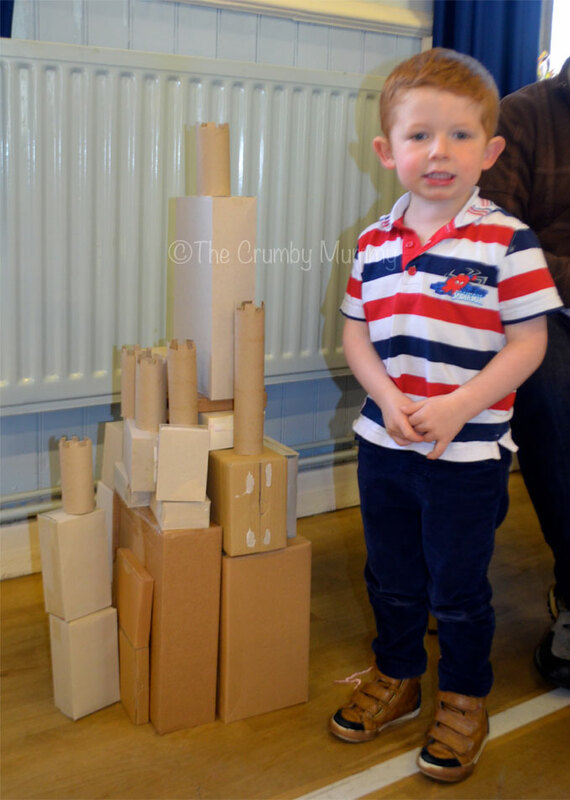 One little boy worked really hard and built a fabulous castle! I was very impressed! 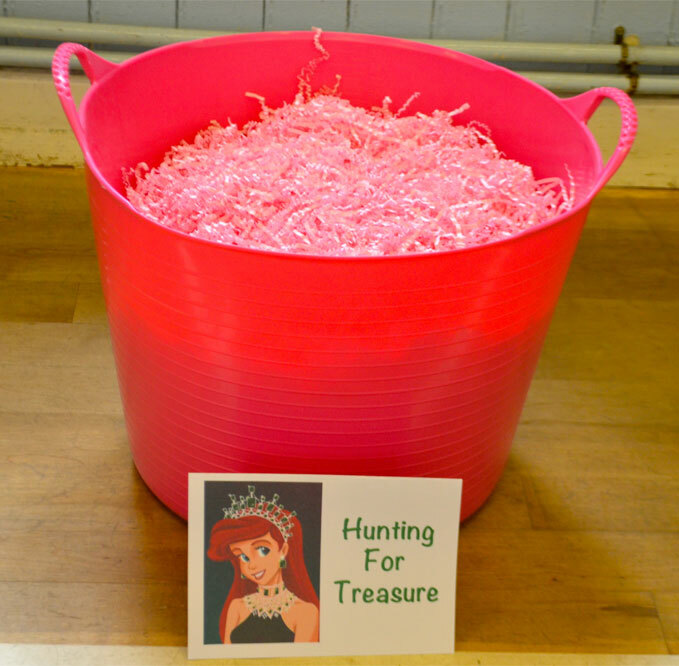 We hid some toy jewellery in a tub full of shredded paper. I thought about using sand so that the children could dig for the treasure but I thought that this might make too much mess. The children enjoyed finding the jewels and they were even more excited when they realised that they could keep them. 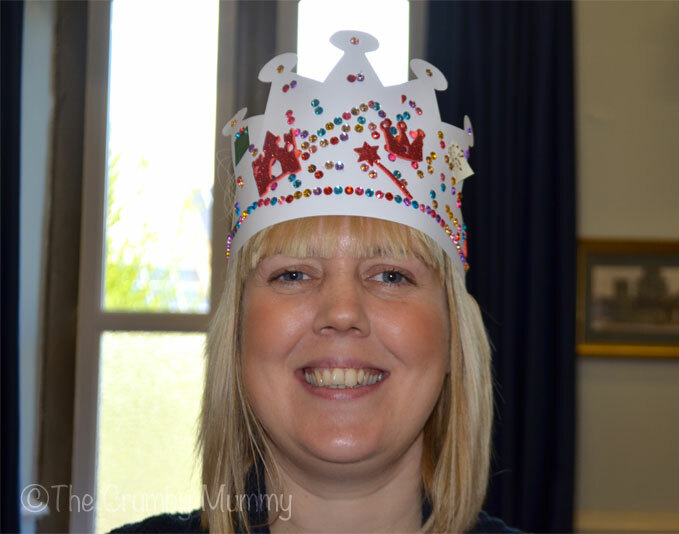 I cut some tiara shapes out of paper for the children to decorate. 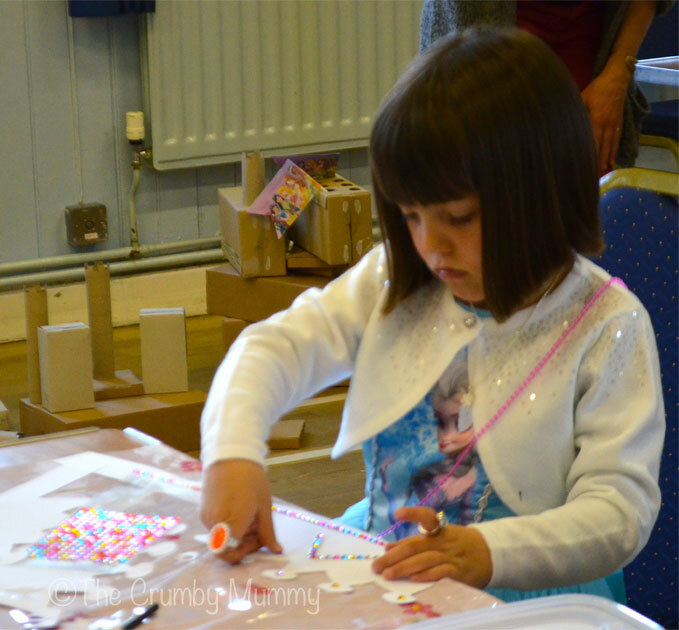 There were sequins, paper shapes and sticky gems and the children had lots of fun! I think the adults quite enjoyed it too! 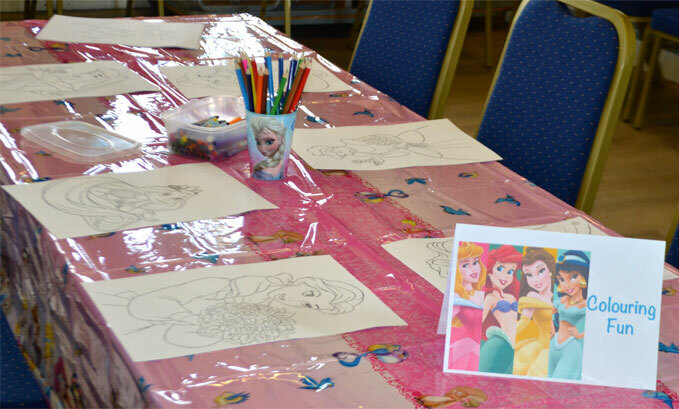 We also had a colouring table which I put together at the last minute in case the children didn’t have enough to do. 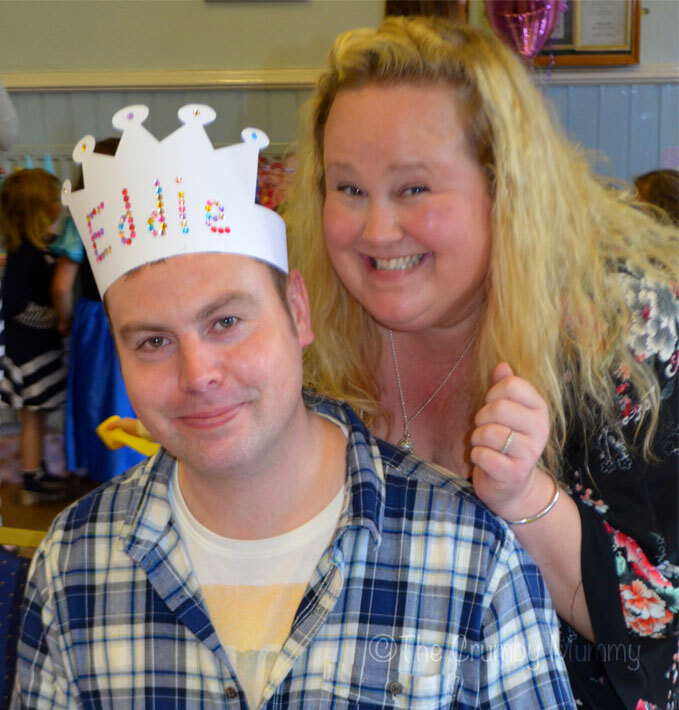 We are now planning the activities for Bob’s Under The Sea Party later this month. 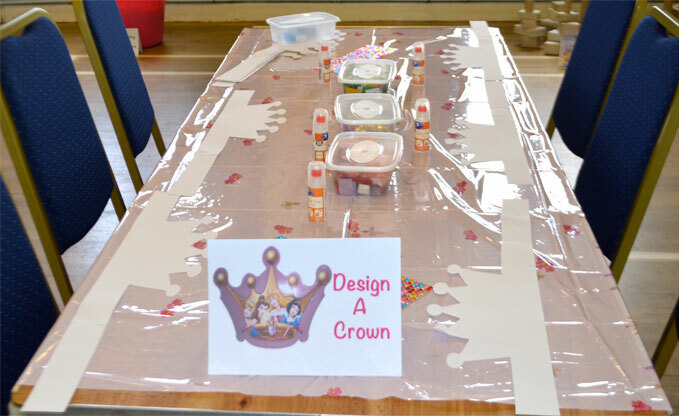 There is going to be even more crafts this time and Bob and I will be having fun trying out the activities before the big day. Click on the links below to read my other Disney Princess party posts. Oh what a fabulous party!! I love all the crafts and that its just like party’s from when I was little. 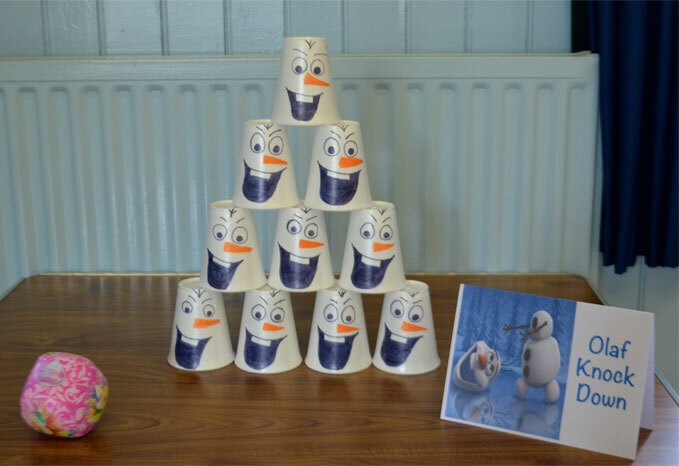 The Olaf cups are my favourite! My daughter would love a birthday party like this. It looks amazing and fun too! Great games you have there. So simple but yet so effective and fun. Brilliantly put together, love all the games. They all look so fun and simple to organise. The hunting for treasure one looks like great fun.